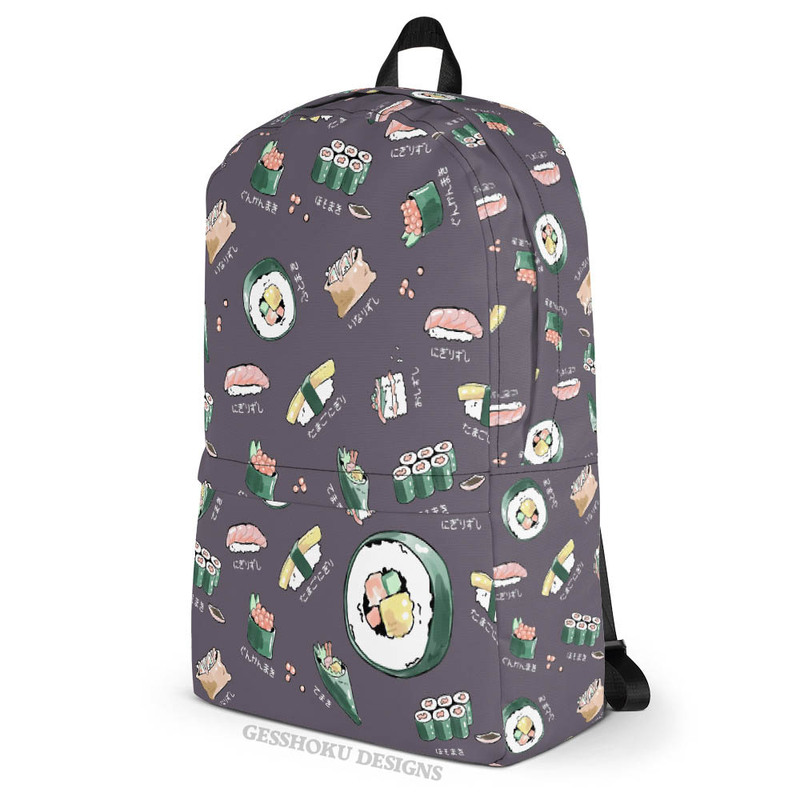 This backpack will hold just about anything you need - it even has a special laptop sleeve inside - but be warned - it will make you hungry! 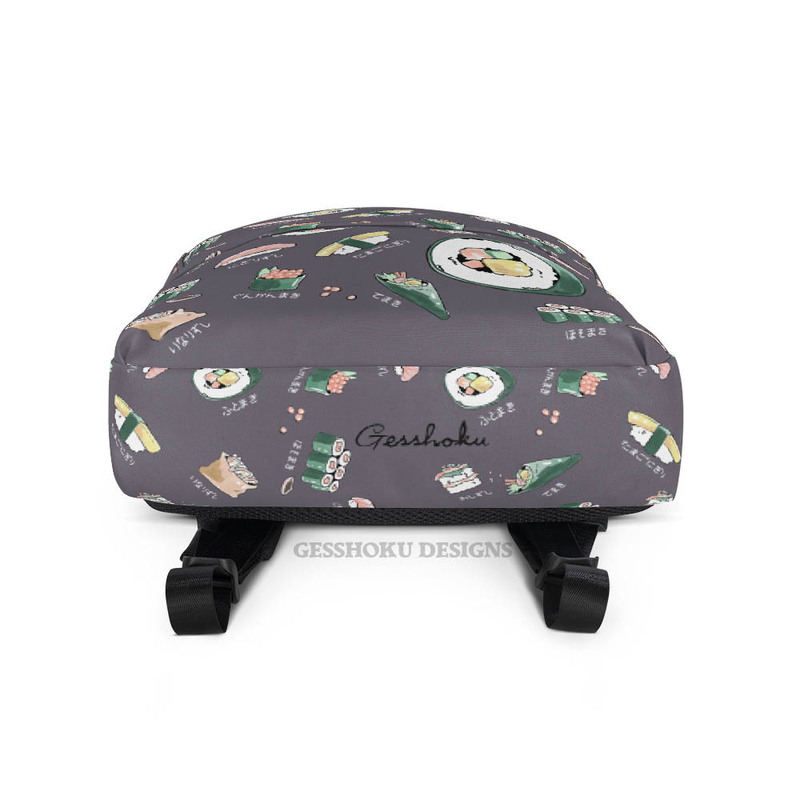 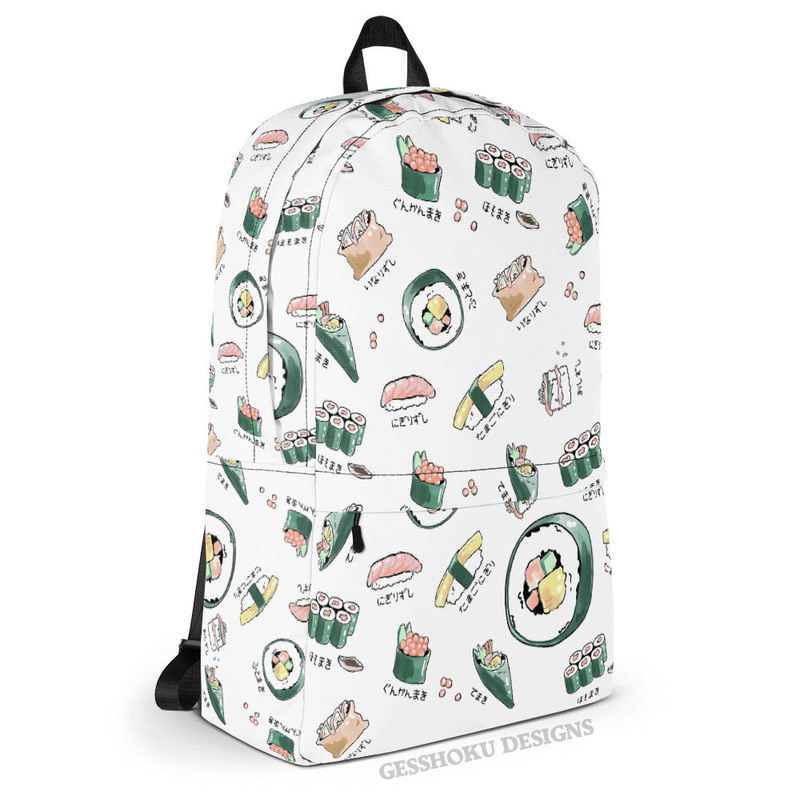 How could you resist our all-over print of watercolor sushi, available in white or charcoal grey. 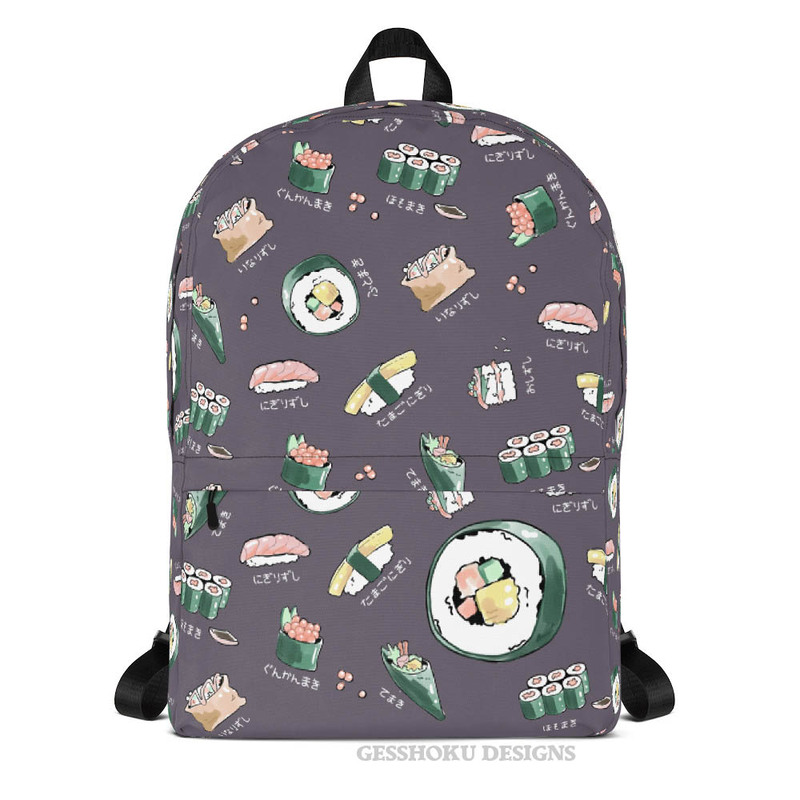 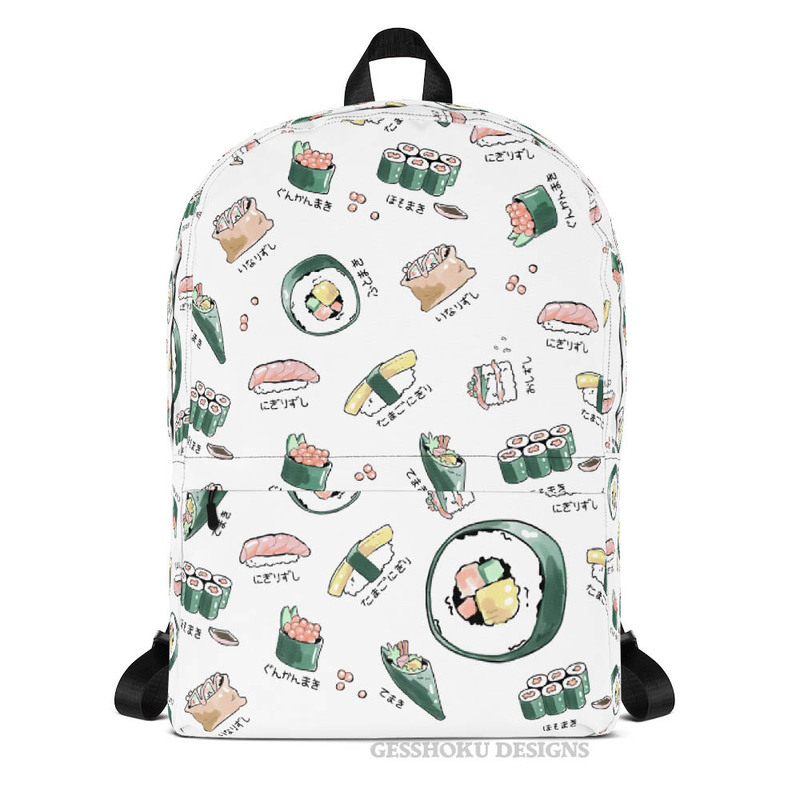 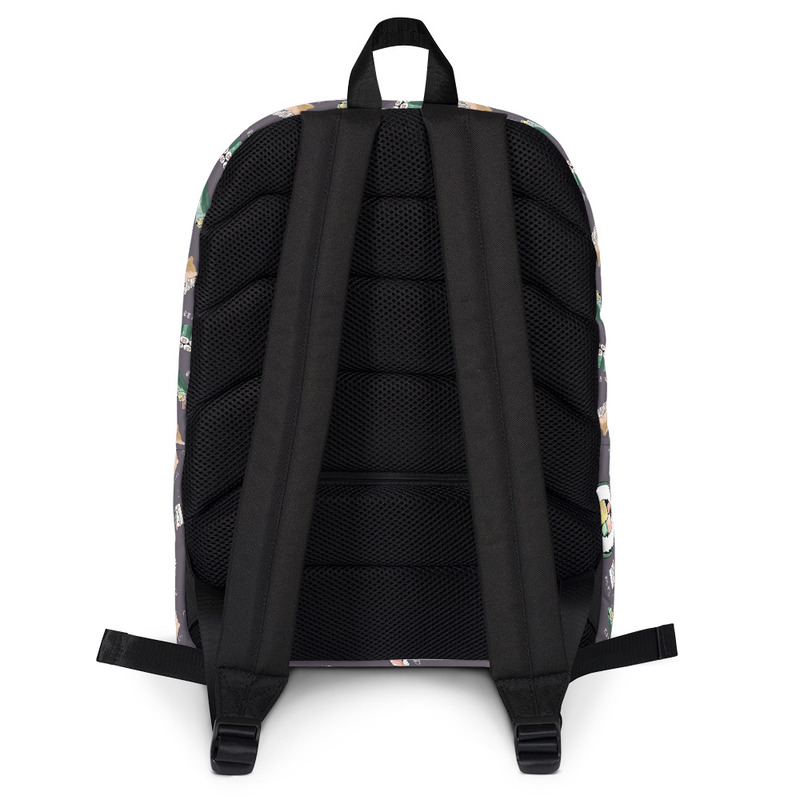 Whether you order egg or California rolls, soy sauce or wasabi... our sushi backpack makes a sweet piece of streetwear.